Is there a better alternative to Zen Timer? Is Zen Timer really the best app in Personal Info Managers category? Will Zen Timer work good on macOS 10.13.4? Zen Timer uses fractal math to generate a unique new tree every time. 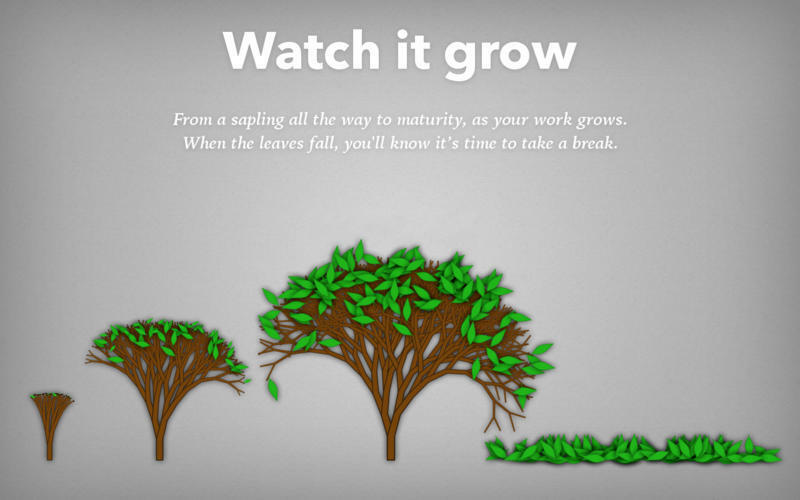 Watch your tree mature slowly, growing leaves and getting bigger as the period progresses. When the period ends, the leaves gracefully fall to the ground, signifying that it is time to take a break. Zen Timer needs a review. Be the first to review this app and get the discussion started! Zen Timer needs a rating. Be the first to rate this app and get the discussion started! 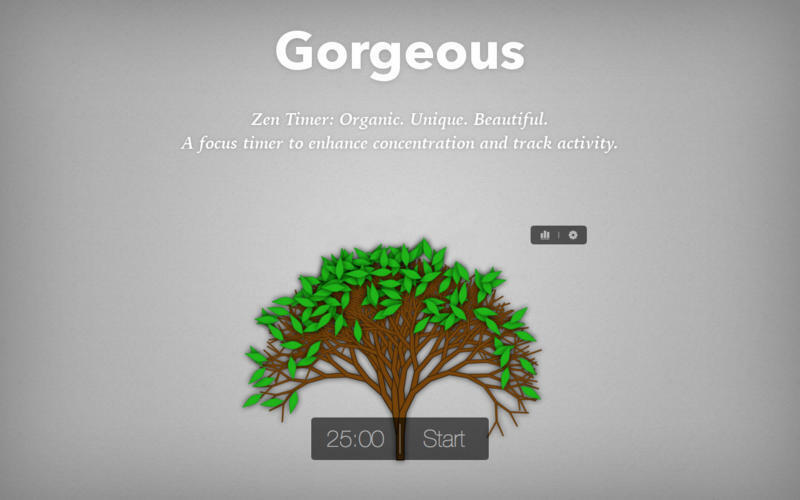 Using Zen Timer helps you get into the zone: The timer is organic, not mechanical. It does not distract you and it is beautiful to look at, at any stage. You can use Zen Timer in windowed mode or as a windowless application directly on your desktop. 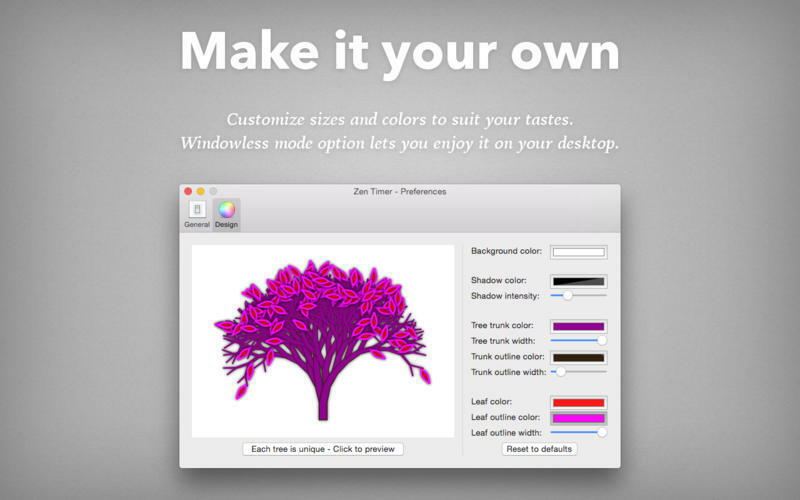 It is completely customizable, so you can set colors and sizes to fit any desktop design. 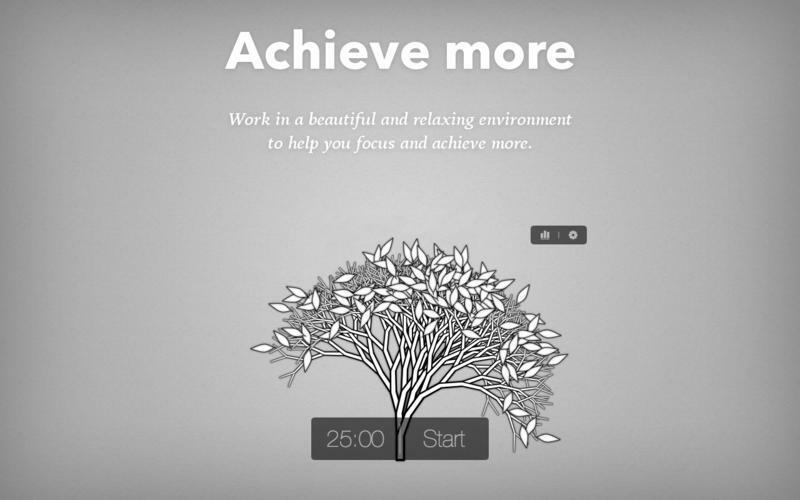 Most importantly, the way it is designed and the way it works helps you relax, allowing you to work better and do more. Organic, fractal, each-time-unique focus timer. Easy to set, not distracting to use. Windowed and windowless modes available. Beautiful statistics: each unique tree is visible on your Progress report.